Scared of salmonella but still want a slice of French silk pie? The classic confection contains raw eggs but we wanted to try a recipe that uses cooked eggs—just to be safe, especially when serving guests whose digestive systems are sensitive (like Islander’s). French Silk Pie is like a chocolate pudding cream pie but richer and velvety smooth. We chocoholics now prefer it over the latter but the raw eggs made this a rare indulgence. 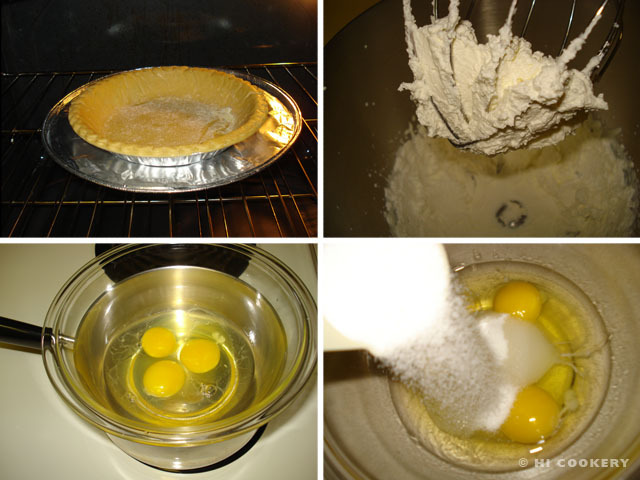 Cook’s Country adapted Pillsbury’s award-winning original French silk pie recipe by cooking the eggs over a double boiler and increasing the amount of chocolate (we especially liked that part!) for a fuller flavor and deep, dark color. Now we can enjoy this delicious dessert without worrying too much about salmonella poisoning. 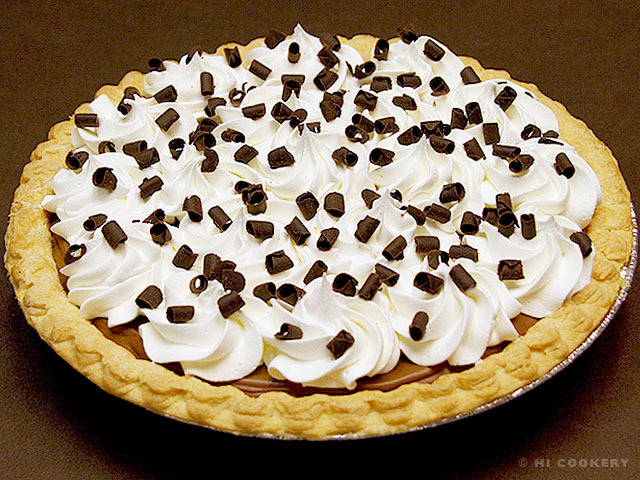 For peace of mind, have a piece of French Silk Pie (with cooked eggs in the filling) for National Pie Day. Brown the pie crust in the oven and let cool. In a large bowl, beat the cream until stiff peaks form. Refrigerate the cream while preparing the other ingredients. In a glass mixing bowl, combine the eggs, sugar and water. Place over a pot of simmering hot water to act as a double boiler. Avoid scrambling the eggs by immediately beating the egg mixture on high speed until smooth, pale and frothy (about 7-10 minutes or until a thermometer reaches 160 degrees F). Remove the bowl from the double boiler and continue beating on high speed for another 10 minutes or until cool. 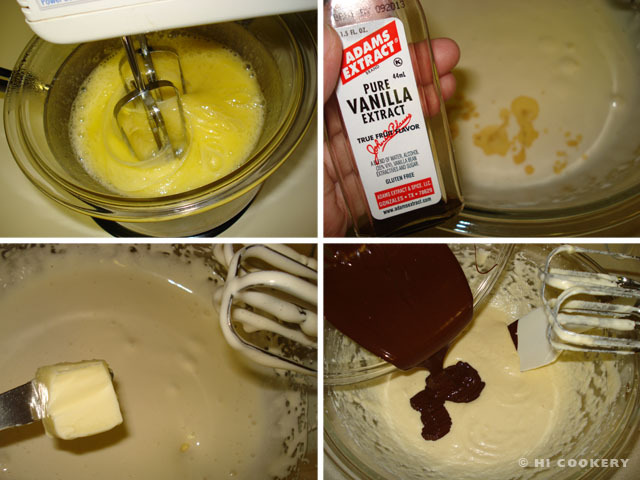 Beat in the vanilla and softened chunks of butter. Mix in the melted chocolate until smooth. Gently fold in half of the whipped cream until well blended with the chocolate. Pour into the prepared crust. Smooth the top with a spatula. Refrigerate at least three hours or overnight to set until firm. With the remaining whipped cream, fill a pastry bag and pipe decorative swirls over the pie. Sprinkle the top with chocolate shavings or curls (optional). Refrigerate until ready to serve. Substitute one cup of the whipped cream for Cool Whip non-dairy whipped topping. 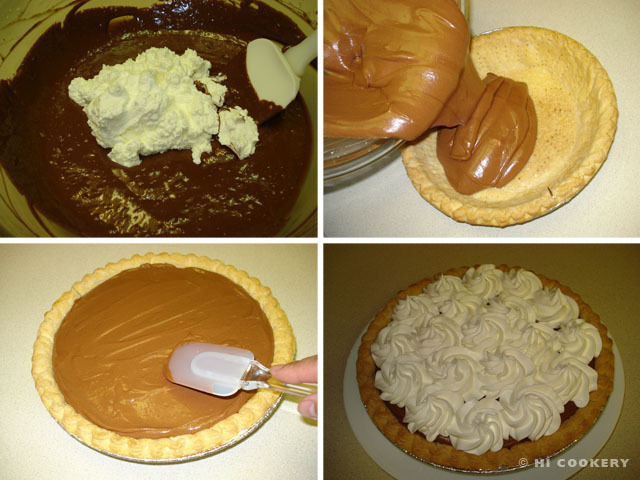 Cool Whip is smoother and light but firm for piping the decorations on pies. Substitute unsweetened baking squares for semi-sweet for a sweeter French Silk Pie. Substitute the store-bought pastry pie shell for a homemade recipe.